In 1974, David S. Ward won the Best Original Screenplay Oscar for The Sting, and was nominated in 1994 for Sleepless in Seattle. The Sting has to be David Ward's best work, but in many ways, Major League was his shining moment. As opposed to his Oscar nominated work, he also directed Major League. The brooding Yankees slugger in Major League is perfectly played by 1982 AL Cy Young Award winner, Pete Vuckovich. Haywood: "Taylor, what are you doing back up here?" Taylor: "Uh, couldn't cut it in the Mexican Leagues." Haywood: "How's your wife and my kids?" In honor of Jake Taylor's return from the Mexican Leagues, we present a snapshot of a few veterans who might get one more year in the sun at the Major League level. Juan Miranda was released a couple of months ago by the Tampa Bay Rays. He got picked up by the Vaqueros Laguna of the Mexican League. Since arriving, he is batting a Herculean .423/.528/.676. Miranda has 10 extra base hits in 20 games and more walks than strikeouts. His career numbers in the Major Leagues do not look good because they are not good. Yet, when looking at his career numbers as the Designated Hitter, there's a glimmer of hope. This is one of the smallest sample sizes we've ever shared on BAseball Reality Tour, so please take heed of this SAMPLE SIZE WARNING. 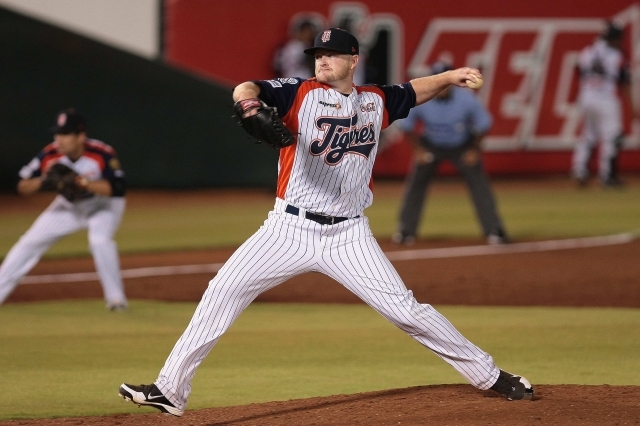 Miranda's Vaqueros Laguna team is currently 18.5 games behind the North Division leading Sultanes de Monterrey. 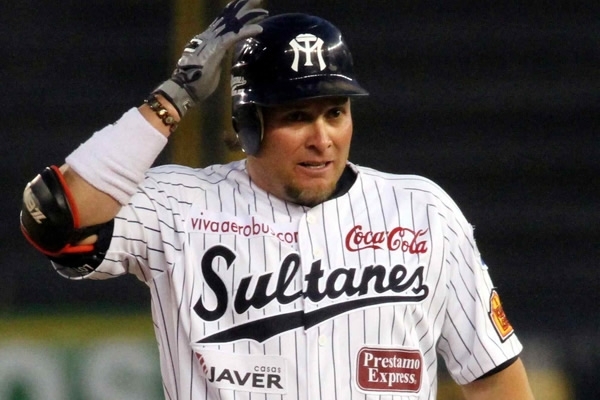 The Right Fielder in Monterrey most nights is Karim Garcia, a 36-year old native Mexican, born in Ciudad Obregon. Dodger fans of a certain age remember Garcia as a young prospect who started hitting as a 20 and 21-year old in Triple-A. 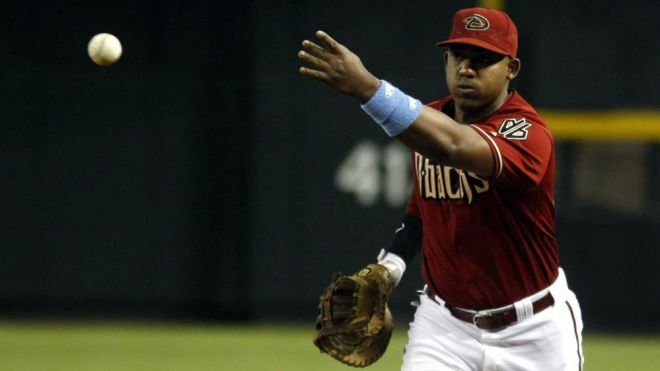 The Arizona Diamondbacks made him the 9th pick in the expansion draft with Colorado. About a month after the draft, the D'backs traded him to Detroit for a soon-to-be Diamondback Legend, Luis Gonzalez. Karim Garcia at 37 would be an awesome comeback story if he made it back to the big leagues next year. At least the Sugar Land Skeeters should put in a phone call. Karim Garcia has basically put together two careers. The first-place team of the Mexican League's South Division are the exalted, and defending champion, Tigres de Quintana Roo. The staff leader in ERA and strikeout-to-walk ratio for Quintana Roo is 32-year old Bobby Cramer, who sports a 2.22 ERA and 5:1 K:BB. The left-handed control specialist has the best chance at a Major League rebirth, with the most recent success at that level. Bobby Cramer is a 32-year old left-hander with good control. He'll be back. Cramer pitched for the Oakland A's in 2010 and '11. He has a career 2.53 ERA and 165 ERA+, albeit across just 32 innings. Alright fans, time for you to speak up. Who are your favorite players in the Mexican Leagues? Mine was Reggie Abercrombie before he joined the Sioux Falls Pheasants. What, you don't follow the Mexican Leagues?